With its year round tropical climate, and landscape ranging from soaring volcanoes to palm-fringed beaches, Hawaii’s natural beauty is a wonder to explore for a holiday of pure relaxation and bliss. 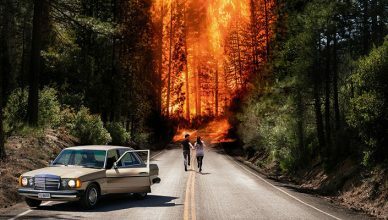 Hawaii is made up of 8 main islands, of which The Big Island, Maui and Oahu are the largest three – the latter being the island of the well-known Waikiki beach and being the location for the majority of films and TV shows shot on location on the islands. Here are Vada, we were drawn in by the nature and luxurious locations, and discovered an open and welcoming culture built on a melting pot of influences from America and Asia. So here is our guide to the next destination for the LGBT community. 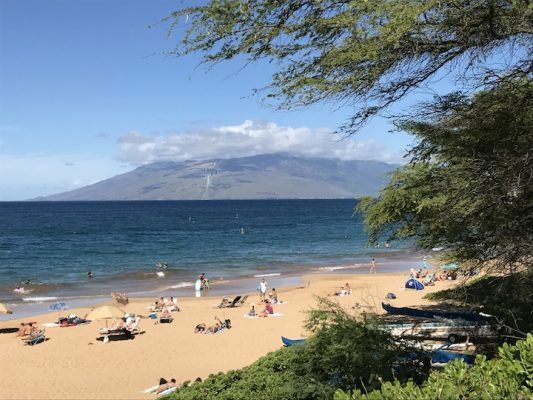 This guide focusses on Maui and Oahu, but if you are able to plan an excursion to one of the other islands (and we highly recommend that you do), each will unravel it’s own slightly different vibe and give you another reason to fall in love with these Polynesian Islands. This is part one of three of our travel guide, which focusses on where to stay. 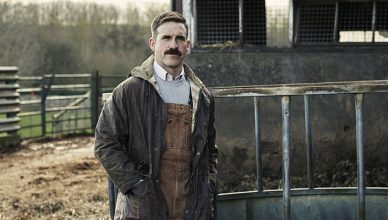 Parts two and three look at where to eat and drink (including the gay bars) and what activities we recommend. 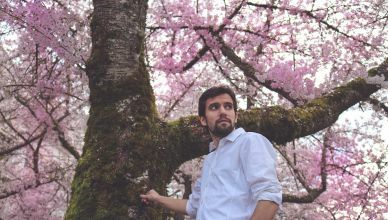 At Vada we travelled to Hawaii from the UK, and whilst readers living in the USA may find travel to Hawaii more direct (depending on your state), from this small island it is somewhat of a longer trek. We flew on a combination of flights from British Airways and American Airlines, both of whom will be able to sell you an end-to-end ticket. 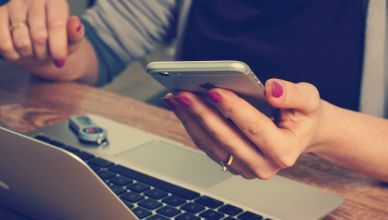 We recommend however considering your route, rather than just looking for the shortest travel time as this will inevitably involve at least one (and more probably two) stopovers. We managed to organise two stopovers (both almost 24 hours) in Miami and in Los Angeles, both fabulous LGBT destinations in their own right. 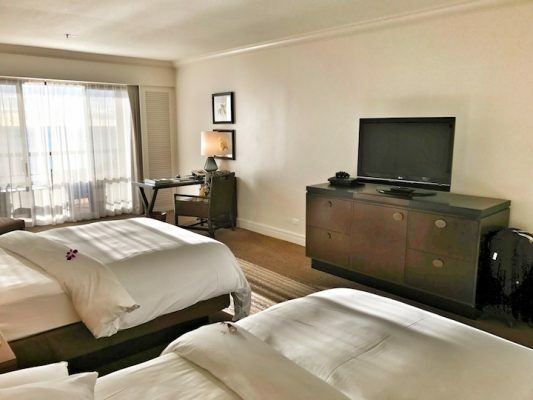 An overnight in South Beach and then in West Hollywood allows rest (depending on how late you stay out, of course) and a lack of jet-lag for an arrival into Hawaii. 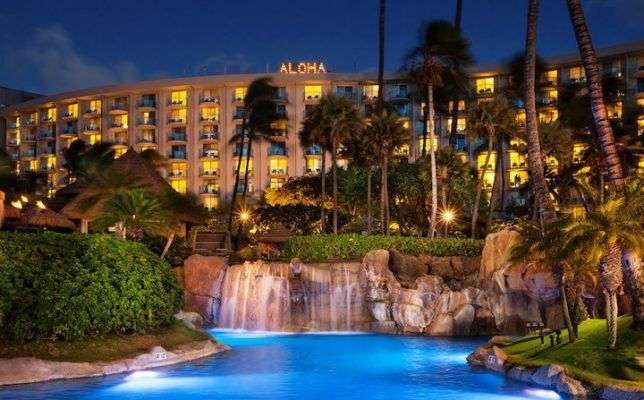 Once you arrive on the Hawaiian islands you will find no shortage of accommodation, with all the major hotel chains offering resorts and hotels. 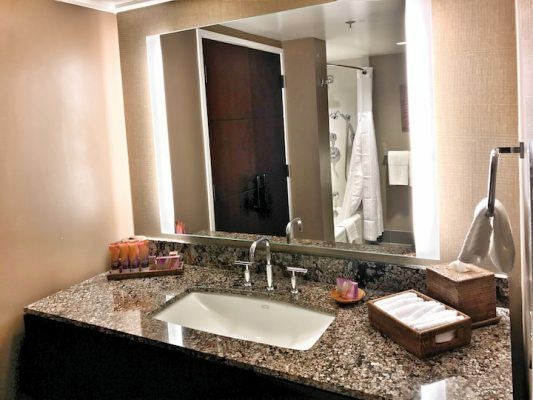 Here is our selection that we found accommodating and accepting of LGBT guests. 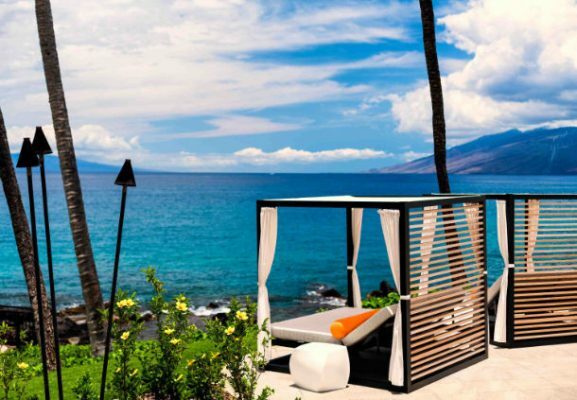 Maui offers a variety of beach resort accommodation across several key locations, primarily Wailea and Kaanapali. 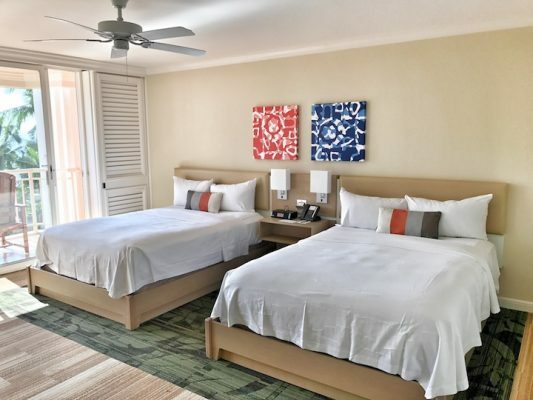 The lush vegetation, 30 miles of beach and national parks make this an ideal location for those wanting to relax close to environment, and in style, naturally. 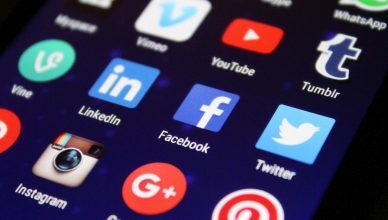 Given the small population of Maui, don’t expect to be able to quench any thirst on Grind (or similar apps) whilst there. 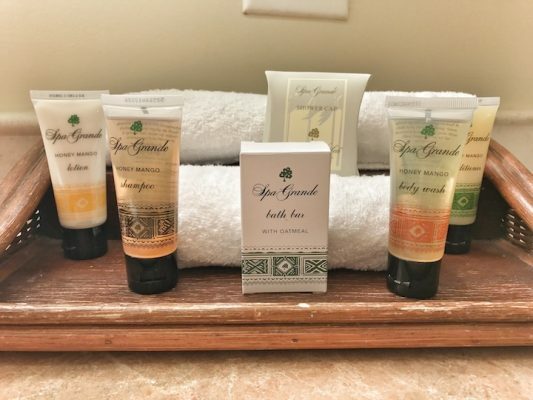 We stayed at the Grand Wailea, part of the luxury Hilton Waldorf Astoria group. 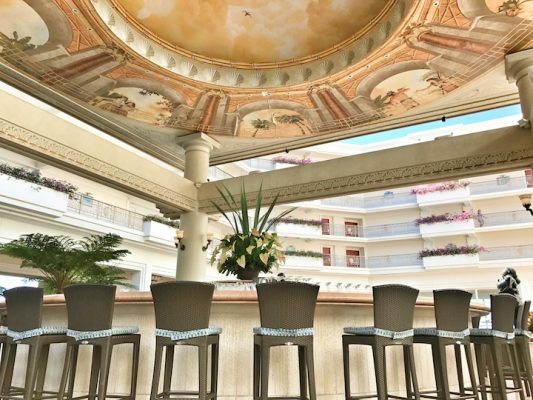 Set in 40 acres of tropical grounds and set on the beach front, the hotel is a paradise to explore. 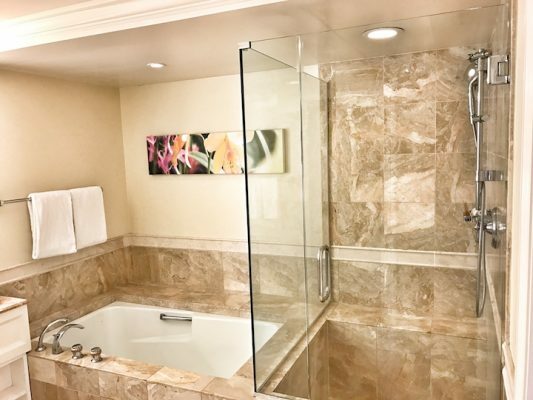 Our accommodation was a double ocean view room (room 6021), a vast space with luxury marble bathroom featuring bath, separate walk-in rainfall shower, and luxury amenities. 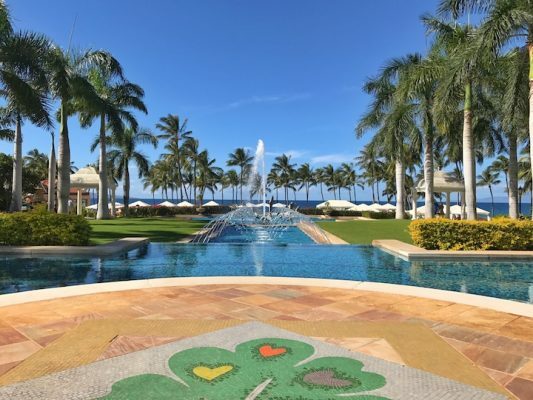 The hotel boasts a spa – at 50,000 square feet it’s the largest in Hawaii, a fitness centre split over two floors, multiple pools to suit children and adults of any age, and a large beach front with many water sports on offer – in short, a way to adventure or unwind for everyone. Breakfast is served in the Grand Dining room, overlooking the resort grounds and ocean. The mighty buffet options mean the health-conscious and care-free are all catered for, with everything from vegetable juices to doughnuts. 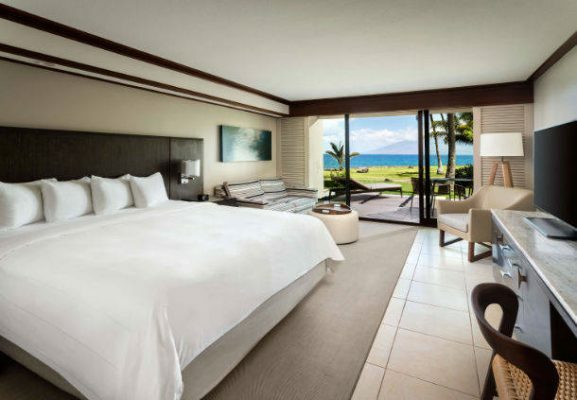 For more information including room rates, visit the Grand Wailea website. 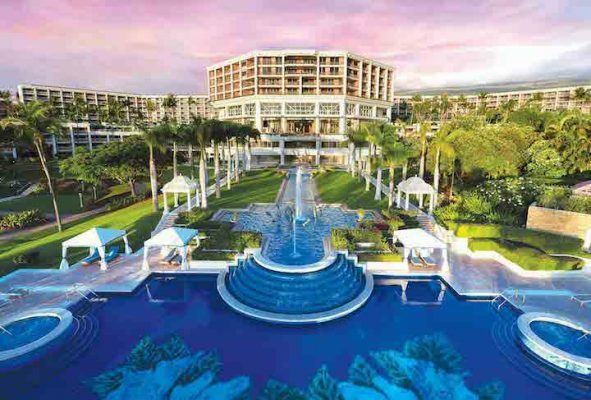 The Westin Maui is situated on Ka’anapali beach, blending aloha spirit with modern luxury. 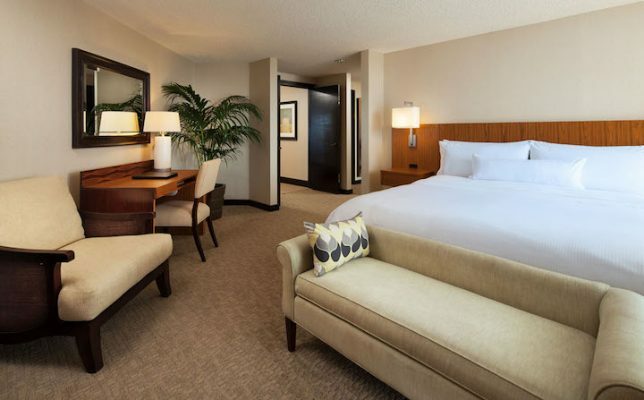 This Westin property has recently been refurbished meaning all rooms and modern and refreshed. We visited a room, where the space has been maximised for an ocean view throughout the accommodation. 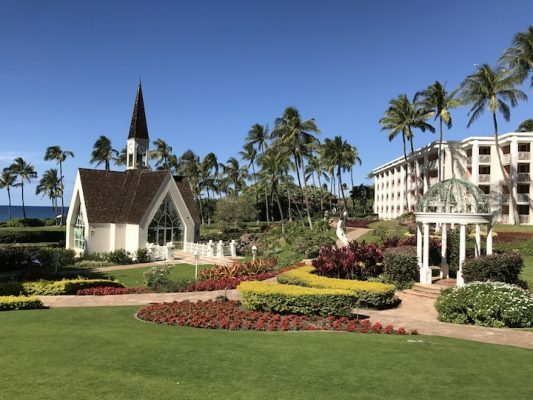 The Westin Maui offers a range of dining options including the Wailele Polynesian Luau (see part three of the Vada guide), featuring dance performances from across the Polynesian islands, fire-knife dancers and of course a buffet meal. 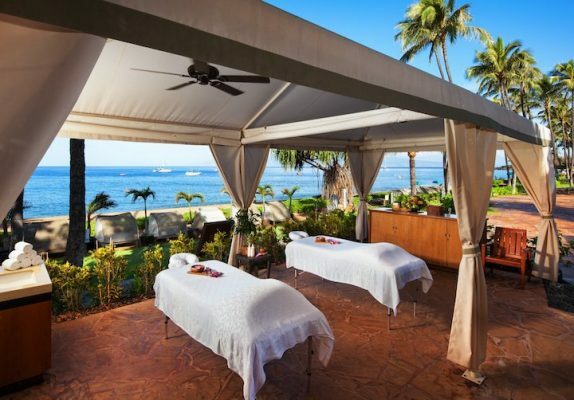 For more information and to book a stay at The Westin Maui visit westinmaui.com. 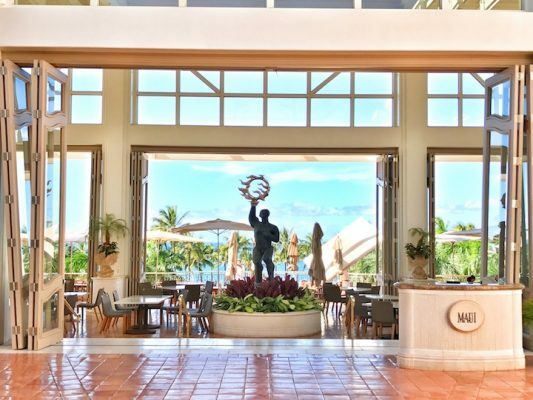 The Marriott Wailea Beach Resort has also recently been redeveloped, meaning it is one of the newest on the island of Maui. 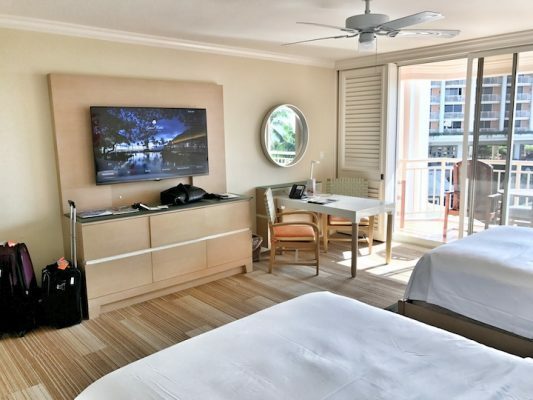 Set on the oceanfront, with a luxurious infinity pool – ideal to watch sunset, this relaxation focussed Marriott has a lot to offer those looking for serenity and renewal. Despite its name, the hotel does not have a beach – it is set on the coast and a short walk along the beach-path will lead to sands. 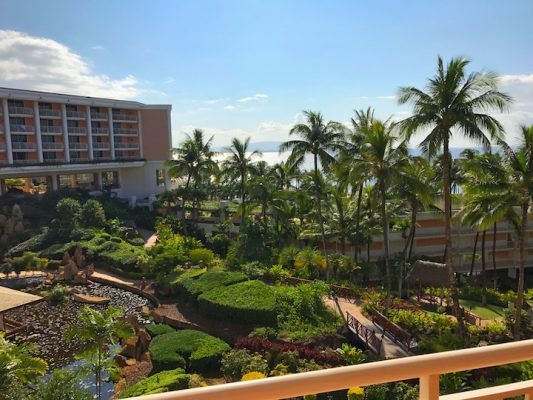 Lacking a beachfront, the Marriott makes up in other ways, noticeably being slightly less children-centric than the other Wailea resorts, making it more attractive to couples. Guests can visit the on-site Mandara Spa, where they can seek solace, relaxation and wellbeing, with a variety of Balinese treatments. Alternatively the hotel hosts regular fitness activities including kayaking, scuba and snorkelling. There are bikes for rent as well as a fitness centre for those who really want to keep in shape. Oahu is the most populated island in Hawaii with nearly one million inhabitants. It is also the island where you will find the most well-known tourist attractions including Waikiki beach, Diamond Head and Pearl Harbour. It is therefore where you will also find some of the biggest hotels, and a lot more members of the community. 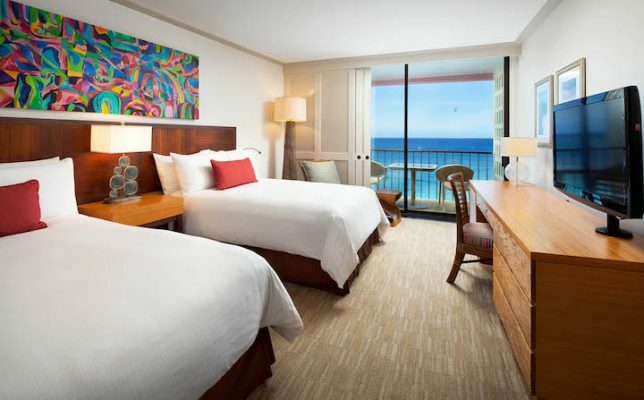 The Hilton Hawaiian Village is the biggest resort on Waikiki, and sits on a site of 22 beachside acres, boasting 5 pools, waterslides and its own lagoon – on which you can have a go at paddle-board yoga. 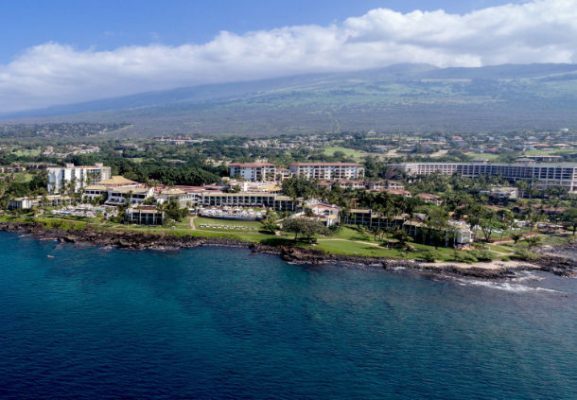 The resort has in total 2,860 rooms and suites across several towers, but the one you want to stay in is Ali’i (meaning ‘royal’ in Hawaiian). 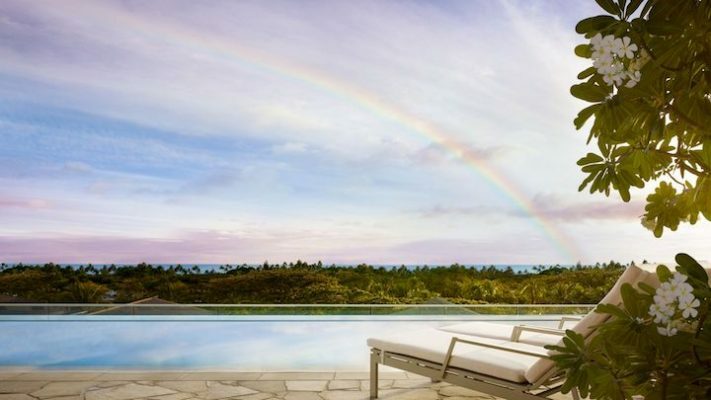 The Ali’i tower has recently undergone a re-branding and offers upgraded amenities and exclusive experiences. 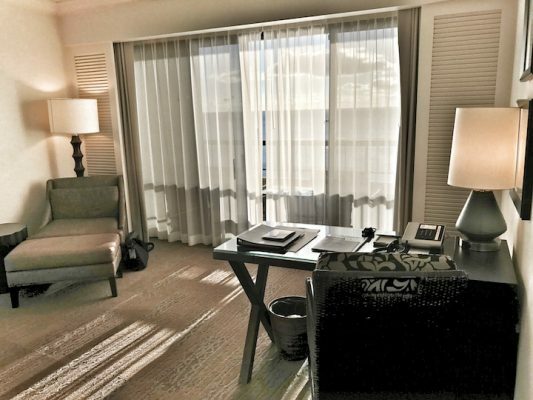 The Ali’i tower offers an exclusive check-in area for guests and effectively a mini-retreat within the Hilton Hawaiian Village complex. 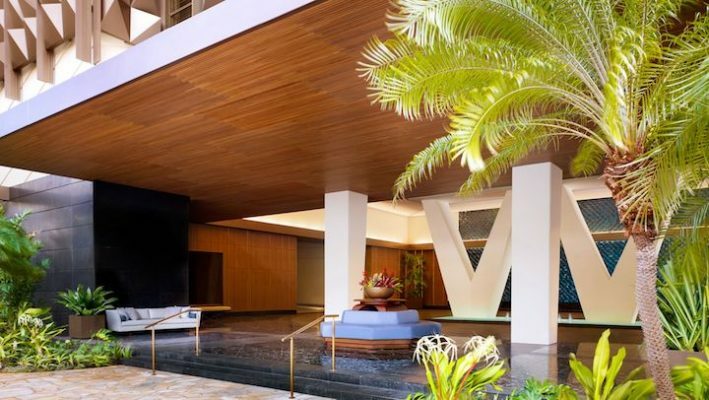 Amenities in the Ali’i tower include The Library – a place to work or relax, a private pool terrace with enhanced pool services and concierge, fitness centre and massage treatment rooms all located on the second floor. 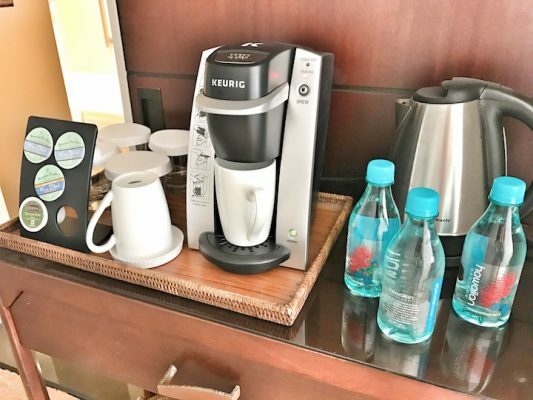 We stayed a double ocean view room (number 1304), a double-double room with an abundance of space, walk-in wardrobe, upgraded yukata style robes, and coffee maker. 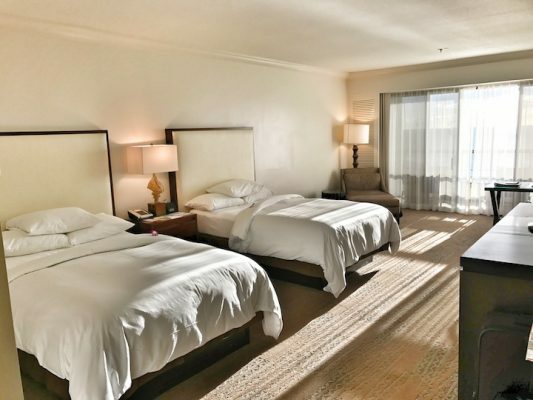 Most impressively though was the ocean view, which is the real reason you will pay the premium for this room. 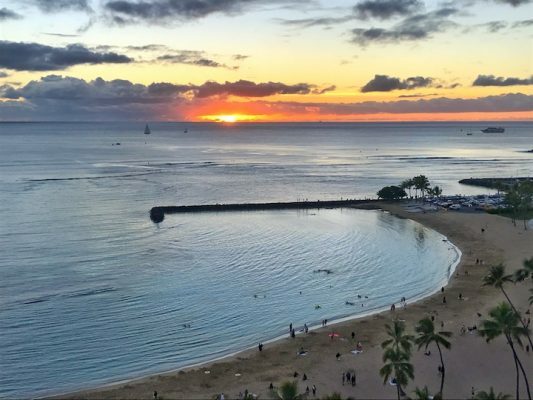 Watching the sun set over Waikiki beach is (usually) exquisite and blissful experience, one that you will not want to miss. 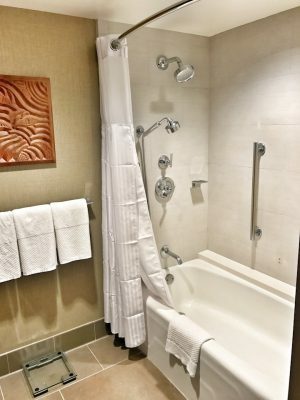 There is a walk-in bathroom area with bath and overhead shower – it would have been preferable to have these separate but the shower at least had the overhead and handheld nozzles. The bathroom also featured a Japanese style washlet with heated seat and warm jet of water for a more hygienic clean. 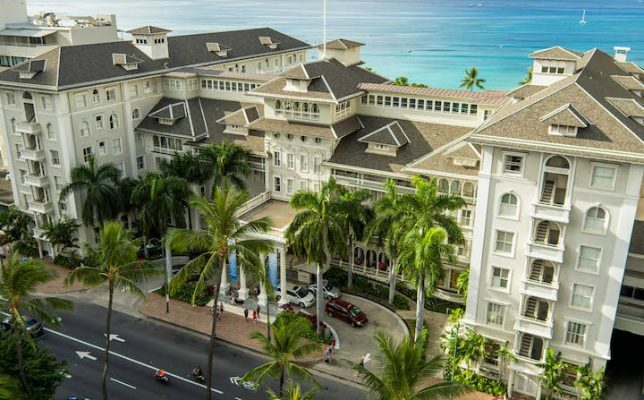 When you see the Moana Surfrider, you will immediately understand why this colonial style hotel is known as ‘The First Lady of Waikiki’. 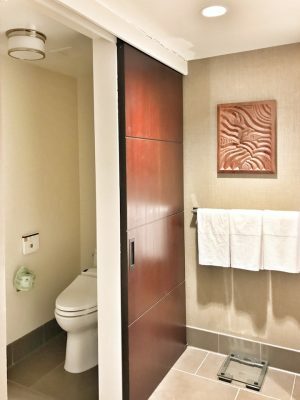 This was the first hotel on Waikiki and therefore boasts one of the best beach fronts; moreover it is the only hotel at Waikiki with a beach-front spa, the Moana Lani Spa. The hotel offers a unique beachside courtyard in the shade of an infamous banyan tree, providing shade for guests. 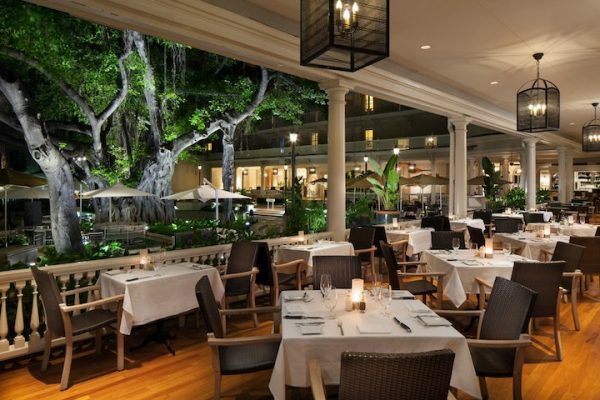 Next to this is The Veranda, where Afternoon Tea is served – read more about that is part two of our guide to Hawaii. 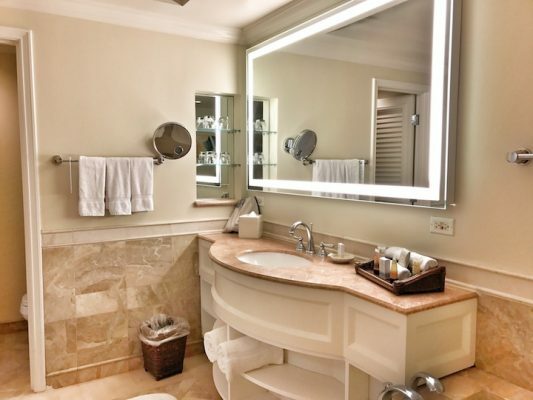 For more information about the Moana Surfrider, a Westin Resort & Spa, visit moana-surfrider.com. 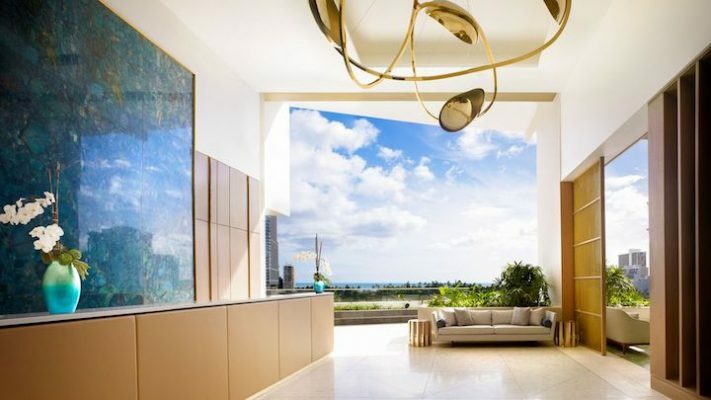 The Ritz Carlton residences claim to literally transport guests to a new level of luxury. On the eighth floor lobby, the ocean view is a glimpse of why the Ritz Carlton has a foundation to this claim. 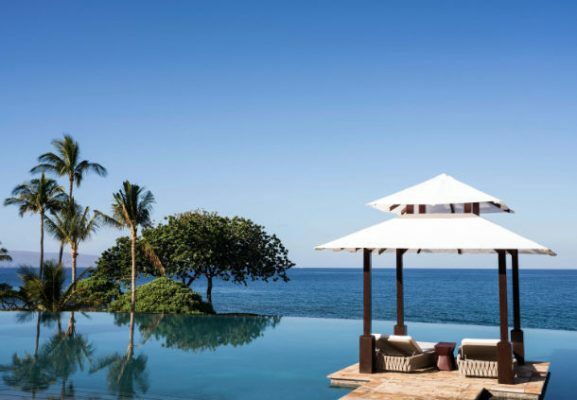 The infinity pool, adjacent to the lobby is a luxurious oasis, and spa offers treatment using hot pohaku stones from Hawaii’s volcanoes. 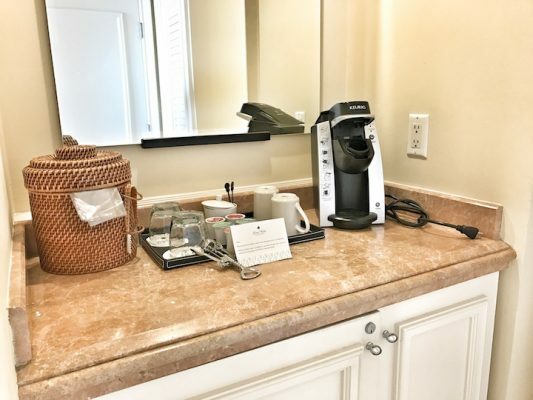 Residences are available at either studio, one-, two- or three-bedroom sizes, with a minimum two-night stay. All rooms include Italian Frette linen, floor-to-ceiling windows and Miele gadgets in the kitchenette. Guests can dine at BLT Market, which we review in part two of our guide. Further information on room types, availability and prices is at ritzcarlton.com. 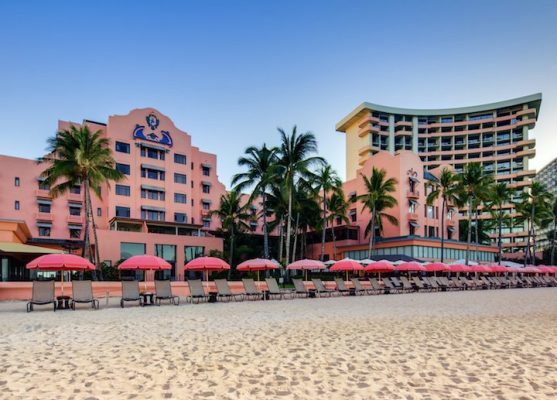 Perhaps the most flamboyant of our hotel recommendations, The Pink Palace stands out on the Waikiki landscape for its fabulous flamingo colour. 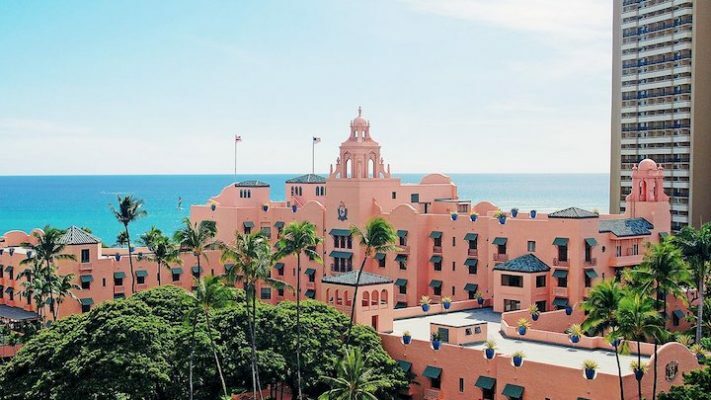 Built in 1927, setting a new standard in luxury travel in Hawaii, The Royal Hawaiian, now a member of the SPG Luxury Collection, continues to offer a gold standard concierge, valet parking and the usual amenities you would expect at a luxury resort. 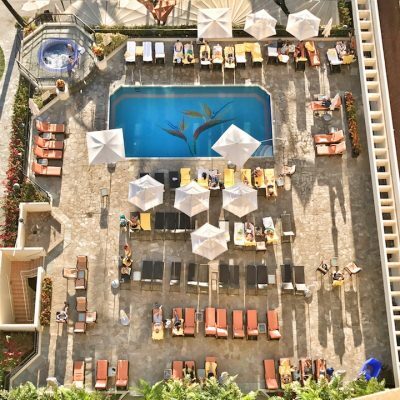 What you will find unique here though is the oceanfront Monarch Terrace, ocean lawn and a 56,000 sq ft coconut grove. The Royal Hawaiian can be booked directly at royal-hawaiian.com.